The Savoie region of France is known as the “snow kingdom.” Albertville, located in the Savoie, is a former Winter Olympic Host. Snow and alpine sports fans have access to world class rock- and ice-climbing, mountaineering, alpine/downhill/telemark/cross country skiing, nature tours and kilometers of hiking routes. In addition to the outdoor sports potential, the Savoie regions hosts great restaurants, hotels and charming country inns. Driving to the Savoie region is an adventure in itself. The Route des Grande Alps (Great Alps Road) cuts through the heart of the mountains, with exciting drop-offs and scenic vistas that rival any mountain range in the world. Certain parts of the auto-route are at altitudes over 6,000 feet (2,000 meters), guaranteed to leave even the most jaded traveler in awe. Ski and snowboard rentals are available in many locations throughout the region should you choose not to travel with your own. If you come to the Savoie during summer, mountain bikes are available for rent. Free maps are available at most cycling shops. Use the maps to find biking routes throughout the area and mountains. V’Al D-Isere, the prestigious alpine ski resort, is in the Savoie and offers Olympic and World Cup level skiing. Slopeside hotels and inns dot the mountains, giving you options for ski-in/ski-out lodging. Camping sites are available throughout the Savoie, including many open year round. French and European skiers and alpine enthusiasts often camp during the winter as a way of saving money. If you prefer to stay in a caravan or tent, there are plenty of available resources to ensure you a spot during your visit. Restaurants of all sorts are in the Savoie. Gourmet, authentic Savoie cuisine to quick “fast-food” diners ensure any palette is served. Local fare to sample includes tartiflette and Reblochon cheese. 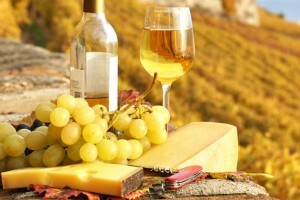 Of course, wine from the various French vineyard regions are available in almost every dining shop and restaurant. Ski, mountain, nature, bicycle and climbing guides offer their services for travelers to the Savoie who wish to try new sports, but lack the skills to safely go into the backcountry. Look for lists of licensed guides in the tourism bureaus of the small villages in the Savoie region.